Marcel Carné is one of French greatest filmmakers. 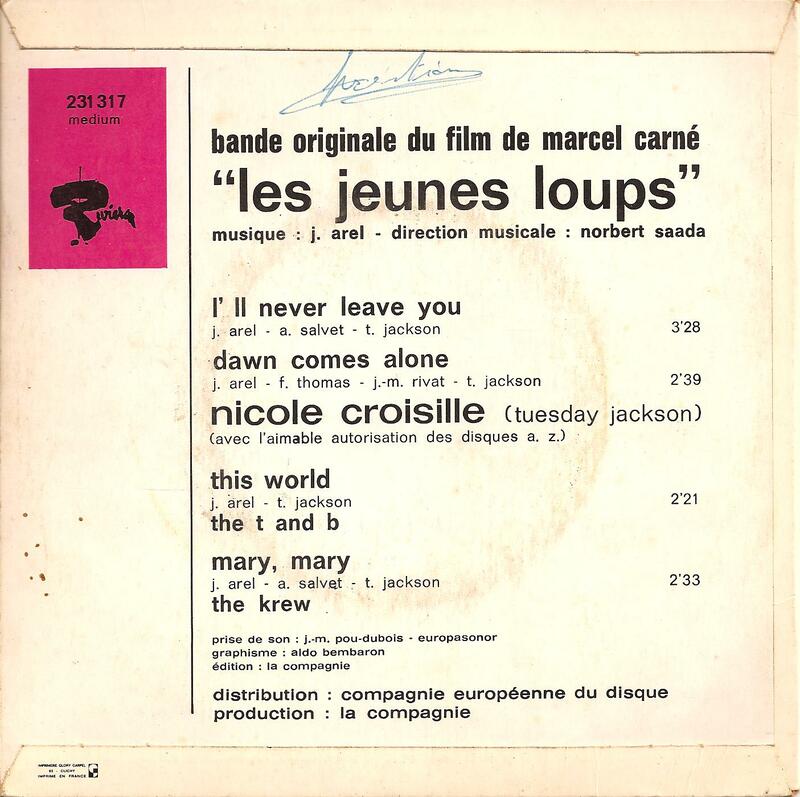 In 1968, he realised Les Jeunes Loups mixing French classic literature (the characters are inspired by the writings of Balzac) and Nouvelle Cinema with the burgeoning flower power and sexual liberation movement. Released just before the revolution of may 1968, it was announcing the events to come. The shooting is known to have been a nightmare and Marcel Carné rejected his film when it was over, even refusing to assist to the preview. Sacked by critics, Les Jeunes Loups were a flop and were even never released as VHS or DVD. In fact, nobody has seen this movie. The soundtrack is much easier to get. It was signed by French library maestro, Jack Arel. He mixed deep soul and British Invasion influences with a cool French pop vibe full of killing hammond organ licks. 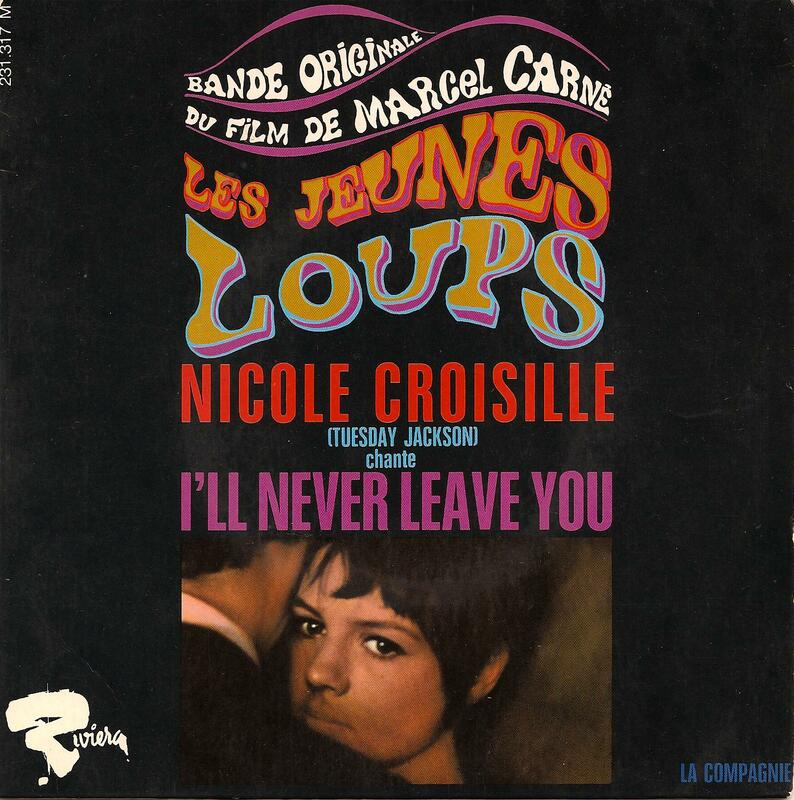 The vocals are credited to Tuesday Jackson, aka French MOR singer Nicole Croisille.